If you grew up in Cleveland, then you know that Superman was created here by two high school students, Jerry Siegel and Joe Shuster. In 1938, Superman was sold to DC Comics. It’s still one of the greatest superheroes of all time. We’ve seen the world of comics evolve and come to life before our eyes with all top box office action movies. But as any book lover will tell you, the big screen doesn’t always give you the full story. 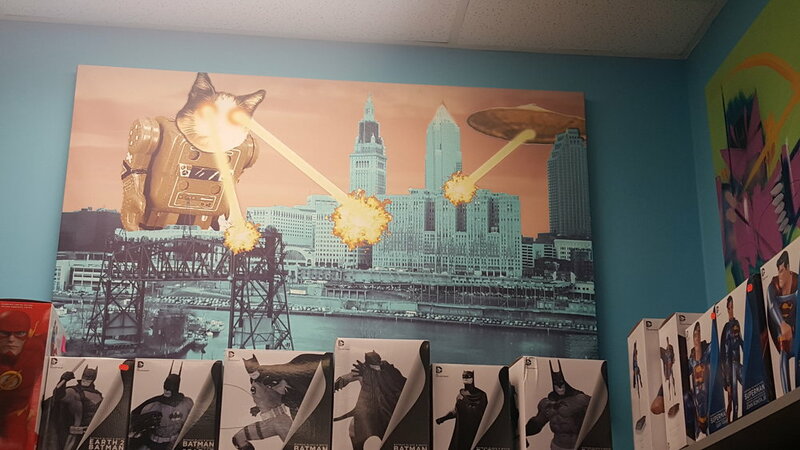 So where can you go to find comics of new and old in Cleveland? Right in your backyard at Carol and John’s Comic Book Shop. The comic shop is a family owned business nestled right in the corner of Kamm's Plaza on Lorain Avenue. John Dudas started working in a comic book store when he was just 11 years old. At the age of 14, his mom Carol began working at the same comic store. For over 20 years, this mother/son duo has perfected the comic shopping experience. John will tell you that his mom is probably the only person able to retire from comics. In fact, he attributes the aesthetics of the shop to his mom. When I walked in the shop, I felt the super-powers drawing me to discover a comic, which by the way, fills the shelves from top to bottom. 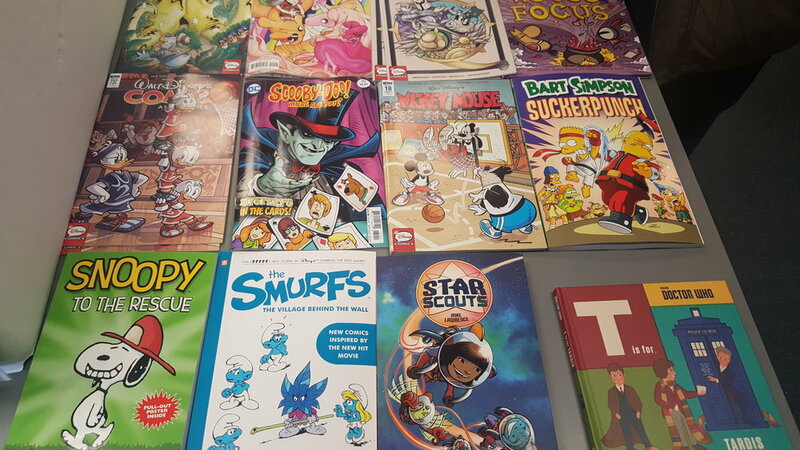 A variety of comics and graphic novels grace the heroic blue walls. Action figures, magnets, glassware, and t-shirts are also available for purchase. A kid friendly store, books are located in bins on the floor and lower level shelves for easy access. They even have a kid’s area where they can read books or play with action figures and toys. So how do you find what you are looking for? 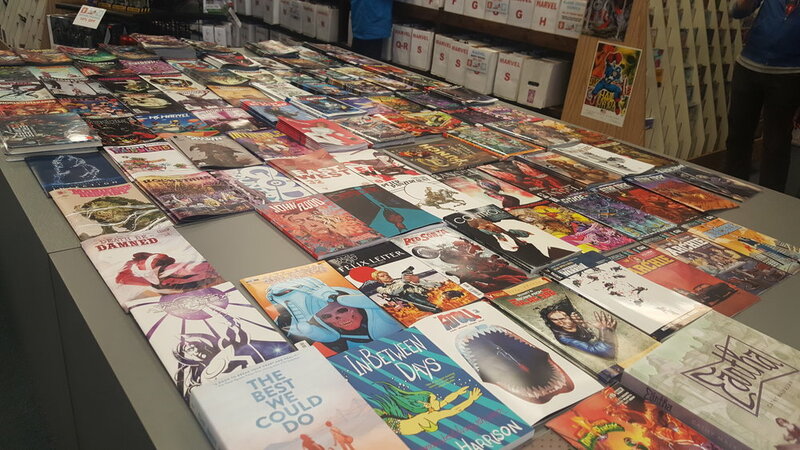 · Every Tuesday, the front display table is cleared of the “new” comics, and they are placed on the shelves with the older comics based upon their brand. · Each Wednesday a shipment of about 150-200 for the new comics come in and are placed on the front display table for purchase. 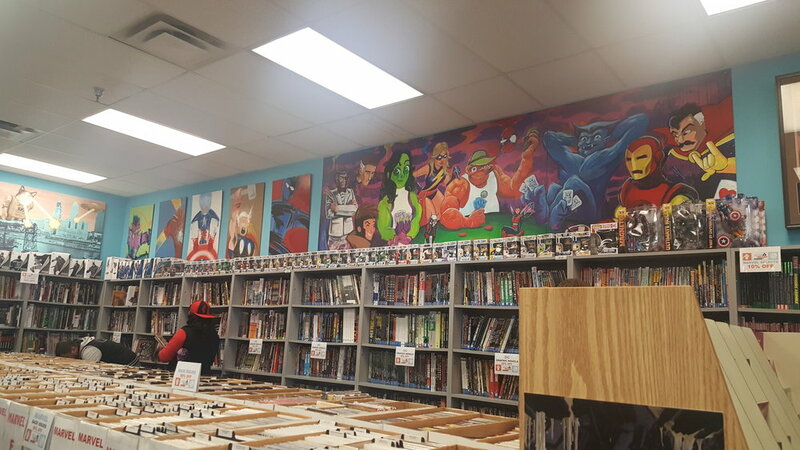 · Graphic novels are found along the back wall and side walls along with a variety of specialty books. · There is 10% off your purchase of 5 books or more. · To be a subscriber is free. You can place holds as long as you pick up your copies within the month. · If you can’t find what you’re looking for, special orders can be placed as well. Just when you think this store couldn’t be more fascinating, be sure to look for Winston the cat when you visit. He makes a guest appearance when the store isn’t too crowded or when he’s not napping. You can also follow him @Comiccatwinston. Whether you’re old, young, a man, a woman, a true comic lover, or a beginner, you can find everything you need at Carol and John’s Comic Book Shop. For more info check out their Facebook page or their website, http://www.cnjcomics.com/site/. Thank you to John and your family for sharing your story and life dedicated to comics with us. I think Superman would say that you’re his hero.